The Dordogne is France's third largest department, covering 9060 square kilometres of scenic countryside and picturesque towns and villages. The department also boasts an incredible 4,000 chateaux, 10% of all the chateaux in France. Located in the south-west of the country, many people think the Dordogne is France's most scenic area. The Dordogne has traditionally been the most popular department for foreign buyers. The French have dubbed the Dordogne 'Little Britain', although these days it's just as likely to be Dutch or Germans buying up land here. It has a population of just under 400,000. Like many French departments, the Dordogne is named after the river that flows through it. Foie gras, duck and goose are regional specialities. The department has four distinct territories. In the north you will find 'Green Périgord' which derives its name from its many green valleys, covered with trickling streams. Its here that you'll find the Périgord-Limousin Regional Natural Park. The major towns are Brantome, Nontron and Riberac. In the centre of the department is 'White Périgord', so called because of its limestone plateaux. It contains the capital of the Dordogne, Périgueux. In the south-west corner of the Dordogne you'll find the newly identified 'Purple Périgord'. The name comes from the area's grapes, which are put to good use in Bergerac, the capital of this wine producing region. The area was of great strategic significance during the hundred years war. You'll find a number of fortified towns, castles and chateaux built by both the English and the French here. In the south-east you'll find 'Black Périgord', a territory not quite as sinister as the name suggests. Deep valleys and ancient forests make this a very magical place in which to spend some time. 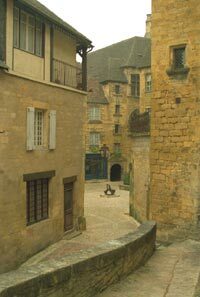 It contains the towns of Saint-Cyprien and Sarlat-la-Caneda, which are both popular with foreign buyers. A visit to one of the many prehistoric caves will give you an idea of how the Dordogne's original inhabitants used to live. Whilst Paris has the best art galleries, you can't beat the Dordogne's 30,000 year old cave paintings. There are a few airport options should you choose to fly and continue by hire car, including Bergerac within the department and Limoges just outside. Both are served by Ryanair and Flybe. Brive Vallée de la Dordogne Airport also currently has seasonal direct flights. Bordeaux Airport and Toulouse Airport are within reach too, offering an even greater choice of arrival point and airline. The south of the Dordogne is a very popular and desirable place in which to buy property. Prices which were once comparatively high, have stabilised recently due to increased interest in other areas within France. The majority of foreigners here are either families or retirees. There are still properties requiring renovation in the Dordogne, but these are not as plentiful as in other areas of France. Do you know Dordogne better than we do? 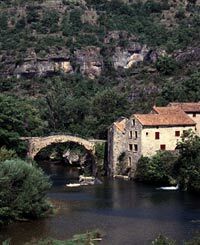 Do you have photos of Dordogne? The Dordogne is in the north of Aquitaine.